This Patriotic Swim Ring Features an American Flag Print! Cool down this summer in this patriotic swim ring featuring an American Flag print! 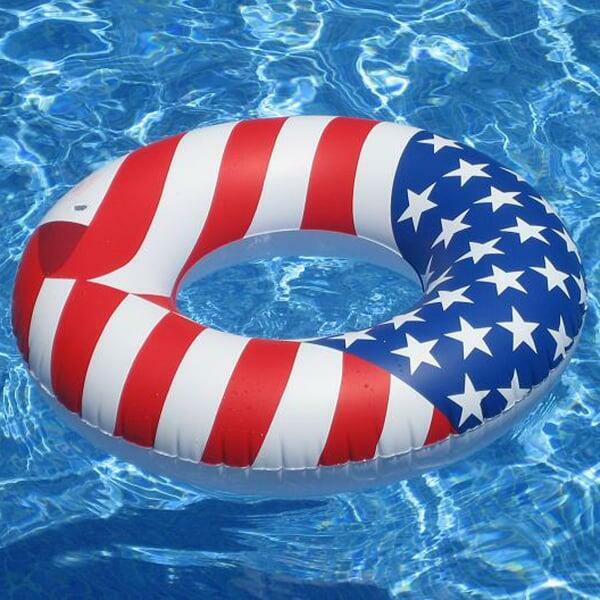 This classic swim ring is a wonderful inflatable for the lake house, beach house or pool.